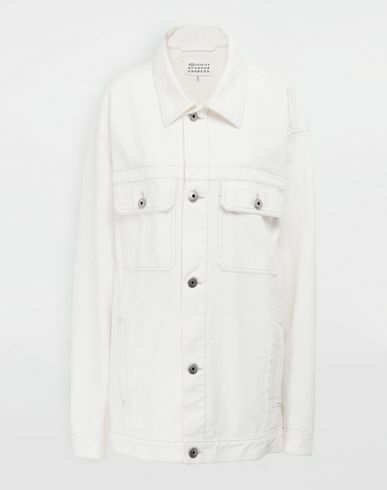 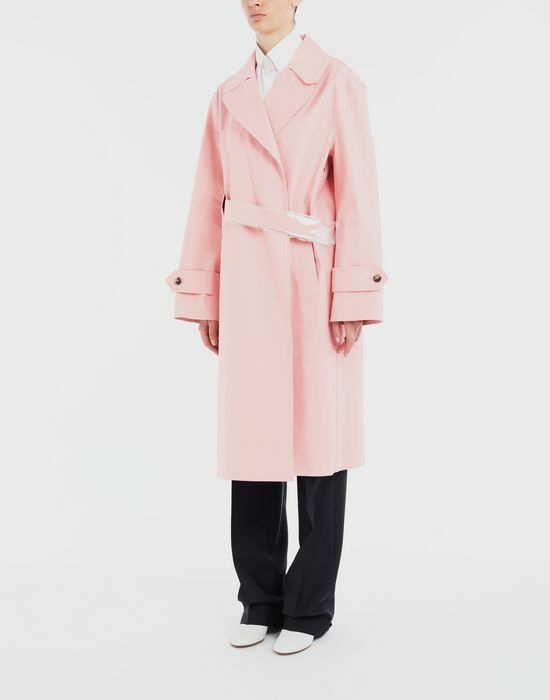 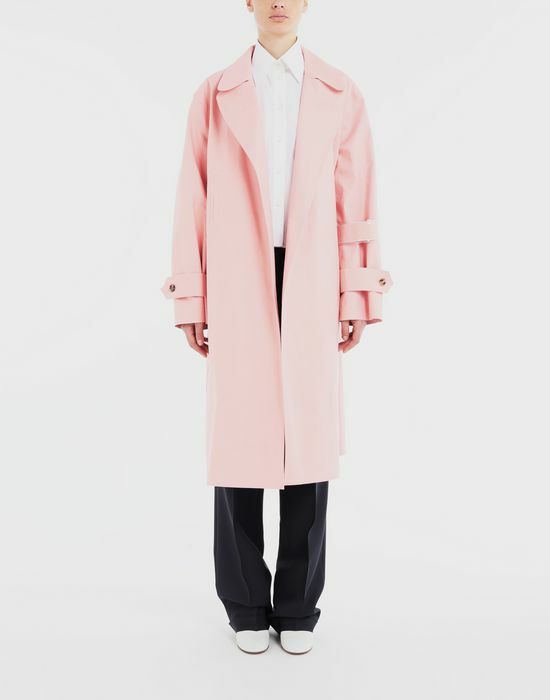 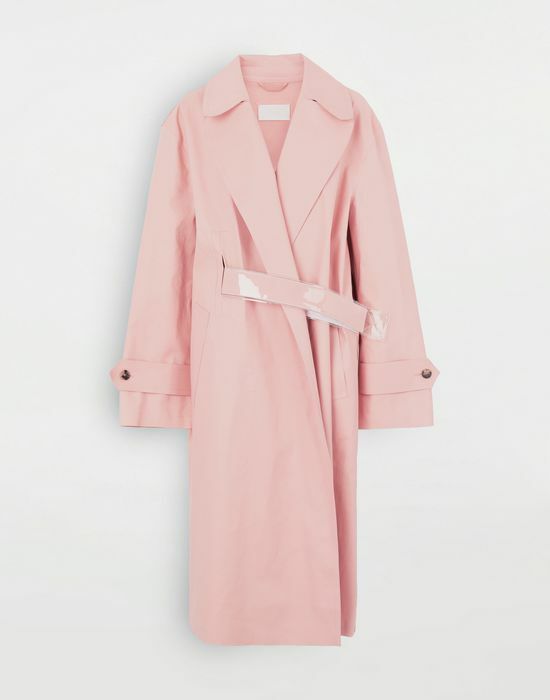 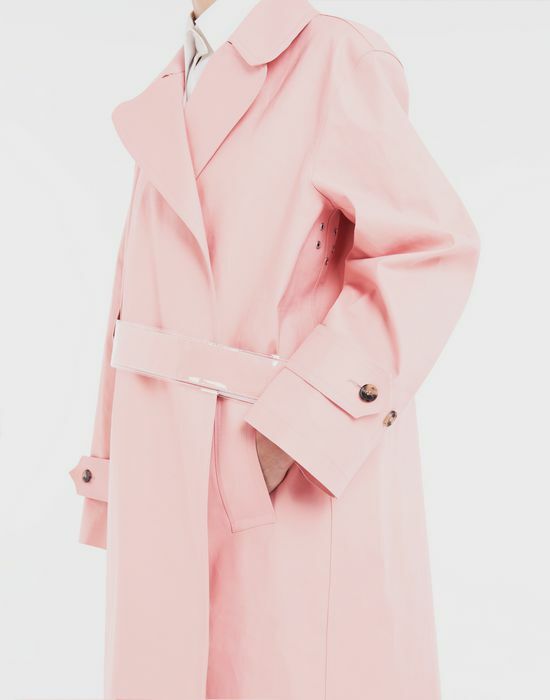 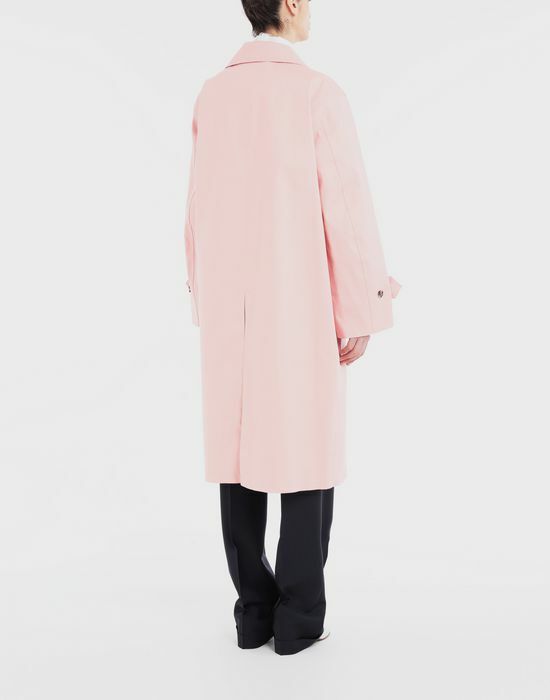 "Trench coat Crafted By Mackintosh"
Reworked from a classic men's coat silhouette, this exclusive cotton trench coat is crafted by Mackintosh from cotton in a soft pink shade. 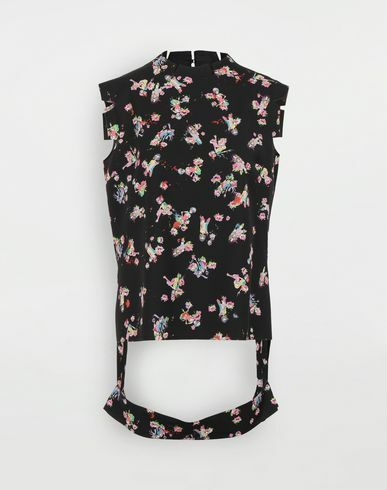 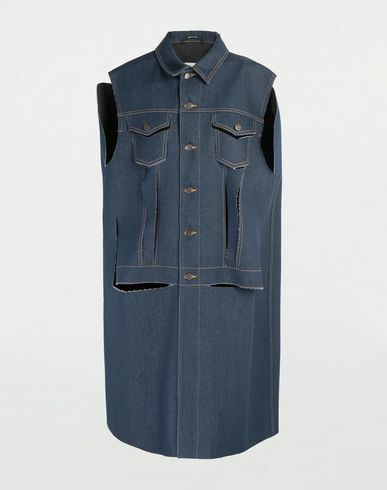 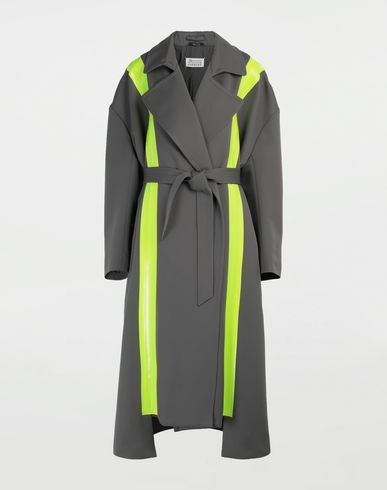 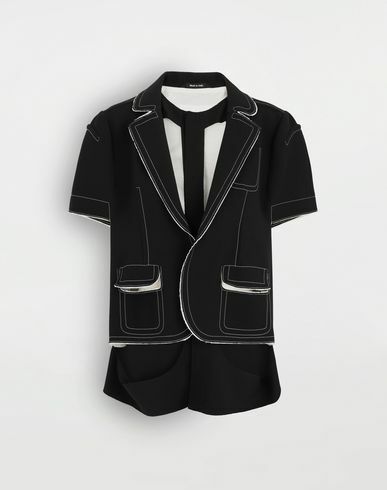 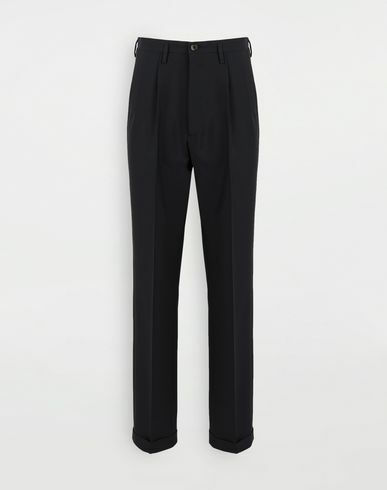 Inspired by the Maison's 'Dressing In Haste' design code, this piece is cut in an oversized fit with stretch belt strap fastening on the waist, wide collars and extra-long sleeves. 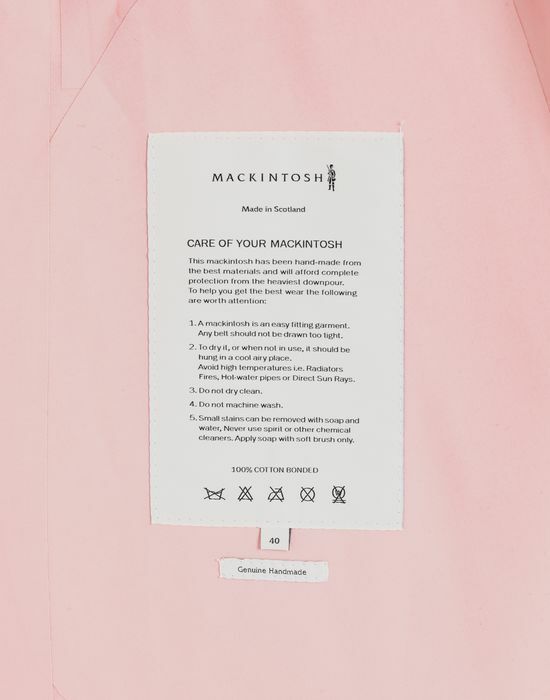 The back is featured with an open slit vent.